I just made my first Poke Bowl and I’m hooked, can’t believe it took me this long to discover one of Hawaii’s favorite foods. And what makes it so amazing for the home cook is that after the fish and rice, nearly anything goes. This time around I used salmon and scallops, but tuna would also be a great option, the fresher the better. In a large bowl stir up a fish marinade of equal parts soy sauce and rice wine vinegar with a pinch of red chili flakes. Cut your skinless fish into chunks, about a third of a pound person, then toss with the marinade and refrigerate. Next, get a quarter cup of white or brown rice per person cooking in some salted water. When choosing your other toppings think about varied textures and flavors, possibilities include but aren’t limited to: avocado, radish, seeds, nuts, seaweed, greens, cucumber, edamame, scallions, chills, ginger, garlic, tomatoes, mushrooms, and pickled vegetables. Combine your ingredients and mix with some rice wine vinegar, fresh lime juice, and salt and pepper to taste. To serve, divide your cooked rice among the bowls while it’s still hot and top with the fish and other ingredients along with the excess marinade and dressing. Hit it with a bit of hot sauce and get ready for your next favorite meal. 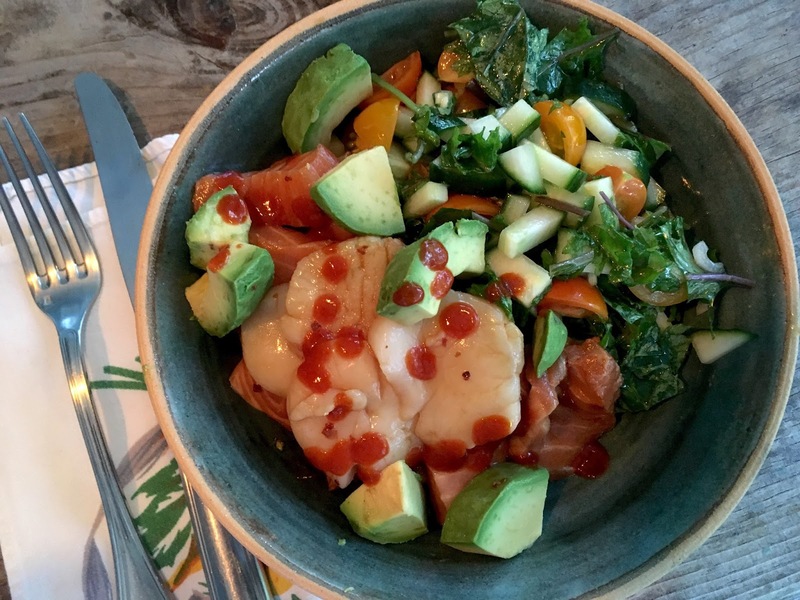 If sashimi isn’t your thing, you could also try substituting out the raw fish with some cooked shrimp, tofu, or chicken…or just lots of veggies.